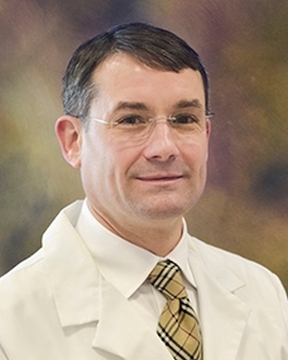 Dr. Henderson is fellowship trained and board certified in pediatric urology. He graduated with his medical degree from the University of South Alabama College of Medicine. He received his residency training in general surgery at the University of South Alabama Medical Center and at Saint Vincent Catholic ... Read More Medical Centers in New York City, and he completed a residency in urology at Walter Reed Army Medical Center in Washington, D.C. Dr. Henderson was the inaugural A. Barry Belman Fellow in pediatric urology at Children’s National Health System in Washington, D.C. Dr. Henderson comes to Pensacola from Fort Belvoir Community Hospital in Virginia, where he served as chief of pediatric urology and assistant professor of surgery at Uniformed Services University of the Health Sciences. He has served a variety of military assignments, including in Germany and in Bosnia-Herzegovina. Dr. Henderson is a diplomat of the American Board of Urology and a fellow of the American Academy of Pediatrics and the American College of Surgeons, as well as a member of the Society of Pediatric Urology, the Society for Fetal Urology, the Christian Medical Association and the Society of Government Service Urologists. Dr. Henderson serves as a reviewer for Military Medicine and the Journal of Urology, and he has presented his research findings at national and international professional meetings. Dr. Henderson has performed several medical mission trips to Honduras. Dr. Henderson is an associate professor of pediatric urology employed with the University of Florida. He practices full time at this Sacred Heart Medical Group office.